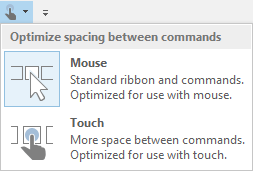 Touch and Mouse Mode for Dynamics NAV? Recently I switched to a new laptop, which has some great specs. One of them is a resolution of 3840 x 2160, which is great if you have multiple monitors attached. Only, there was one little thing that I found really annoying. 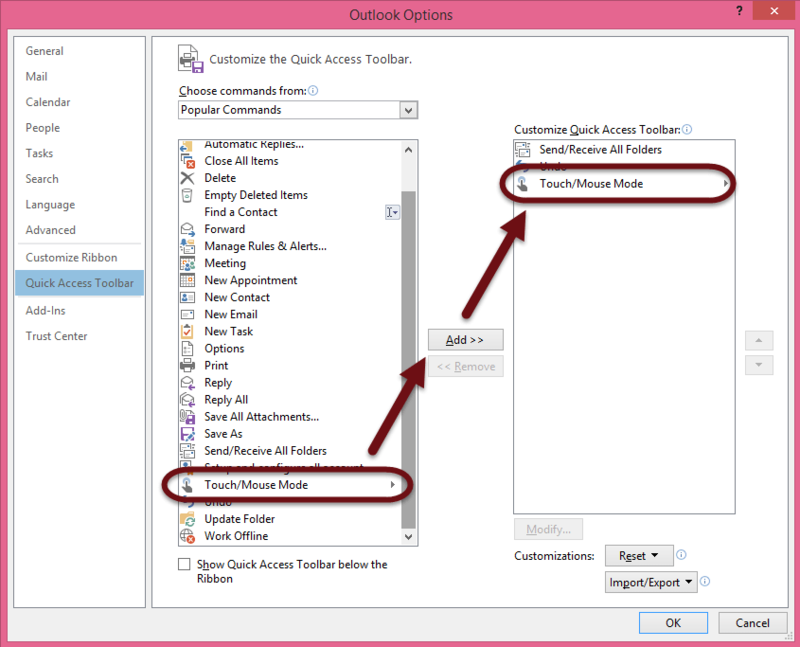 The toolbars in Microsoft Office Word and Outlook always displayed with these big icons and were taking up a crazy amount of space. It was really driving me crazy because I did not find any setting in the options to make them smaller, as they were on my other laptop. Until yesterday when a Tutor for an Attitude gave me a ‘golden’ tip. So I thought, why not share this? Now I’m wondering if such buttons would be a great idea to also include in Dynamics NAV?